In the absence of the political opposition on Thursday, the Government passed several Bills. One of them was the highly criticized Natural Resource Fund Bill. 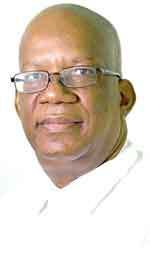 Finance Minister, Winston Jordan noted that it had minor amendments. Nonetheless, international and local transparency advocates had highlighted several flaws contained in the Bill allowing for risky investments. But no changes in these regard were made. NRGI said that from an oversight and governance perspective, the decision of which assets are eligible and prohibited requires careful consideration of whether the Fund has the systems in place to adopt complex or risky investment practices. In a comprehensive report, economists Andrew Bauer, David Mihalyi and Fernando Patzy said that if risky investment practices are “well understood” and monitored, then careful instruments and strategies, such as hedging, can help mitigate risks and enhance returns. They noted that very often, when governments push ahead with risky investments, they often introduce significant operational and default risk, incur high management fees and become tools for excessive speculation. Specifically, Bauer had expressed the firm belief that the Government must be made via the law, to disclose all the assets that were financed by the NRF. But this loophole was not closed in the Bill. Bauer said, “One of the things I am hoping the Ministry of Finance does is put into legislation that every single asset it invests in, be made public. Meaning, everything that the government owns, every share it buys into, must be disclosed. “That is how you are going to tell where the money is going; if it is going into their friend’s company or being invested properly. So, for me, this is more important than simply reporting monthly or quarterly. Bauer said, too, that for any Natural Resource Fund to be successful there must be a degree of consensus. Without it, countries risk being trapped in a cycle where rules governing the use of the Fund are constantly thrown out, or altered to suit the liking of any party in power. Further to this, Bauer had also warned that consensus building is critical to the success of any Natural Resource Fund as politicians and oversight bodies are unlikely to enforce rules unless they have a feeling of ownership over them. When the Natural Resource Fund comes on stream, external managers will be hired to manage what assets Guyana’s oil savings will be used to invest in. But if left to their devices, these external managers can steer Guyana into risky asset investments that could leave the fund losing more than it invested. It is with this understanding in mind that international energy experts like Bauer had stressed for Guyana to put in place, an External Management Policy. But to date, Government has made no moves to have such a policy drafted much less implemented. Bauer had stressed that such a policy will be essential in Guyana’s quest to prevent malfeasance and protect the integrity of the Natural Resource Fund which will be established soon. Bauer and other consultants who are attached to the Natural Resource Governance Institute noted that the Policy is one that would provide an overarching menu of guidelines on how external managers of the fund are to be selected, monitored and managed. It will set out strict rules on how external managers are to manage risks, and what are they allowed to do and what they are not. There would also be accompanying penalties for any breach that is found. Further to this, the NRGI consultants said that Guyana’s legislation on the NRF should go a step further than the policy and include elements on the types of assets it will manage internally versus externally, the maximum size or percentage of portfolio to be managed by a single asset manager and the qualifications fund managers must have. The NRGI officials said, that these are internationally accepted best practices which are found in places like Timor-Leste for example. In addition to this, the consultants said that it would be in Guyana’s interest to arm itself with model contracts for external asset managers, compensation framework for these persons, a reporting framework they must follow and termination criteria.